This piece will be rolled up and shipped to you free of charge using DHL. At any point should you require help or advice, please contact us on +65 6250 1901. Alternatively, you may email your queries to info@odetoart.com. 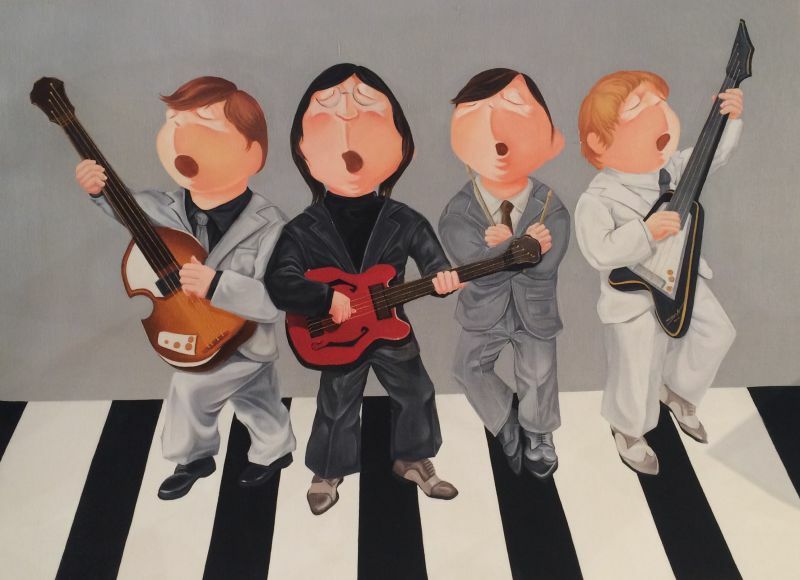 I'm interested in this The Beatles by Wu Qiong. Please advise availability and price. Thank you. 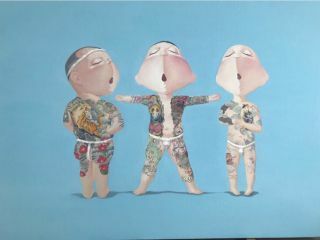 Wu Qiong’s work mainly consists of three series: Born in the 1980s, Marching Forth and Made in China. From ancient Song dynasty paintings "Street Vendor" and "Children Playing" to Feng Zikai’s comics and Zhang Leping’s Sanmao in more recent years, children have been an important subject matter for many artists. These works depict the various situations and encounters of children, highlight their naïveté and loveliness and even the helplessness and tragedy of children living in lower tiers of society. Through these representations, the artists express their longing for the purity of being a child, whilst revealing the darker side of society. 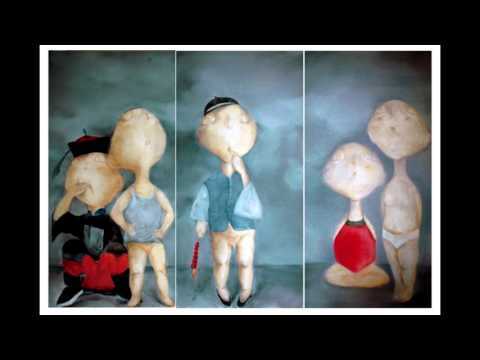 Since the 1980s, as art and culture bloomed, more works with the theme of children emerged in contemporary Chinese art such as Zhang Xiaogang’s Blood Family series, Tang Zhigang’s Children’s Conference and Chinese Fable series, Cui Xiuwen’s Angel series, and so on. Within these works, there has been a shift in focus from depicting children directly, to using children thematically as a subject matter. The artists no longer simply portray children in real life, but have placed them in imaginative spaces. Through the theme of children, social issues are revealed, the sentiments of love and concern are expressed, an individual’s condition of existence in the contemporary society is conveyed. The subject matter transcends children per se, and instead addresses societal concerns and life experiences of artists. This transition in the new era allowed for a freer representation of children. Children began to appear in quasi-realistic situations, with changing appearances and expressions that were increasing rich and diverse. Their bodies were still that of children, but their behaviour was no longer naïve and childish. They seemed to have taken on the sensitivity of adults with mature emotions. The depicted children bid farewell to their years of innocence, as there seemed to be a distancing from their real-life counterparts. They are objectified under the artists’ brush. 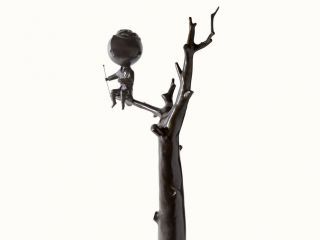 Such are the characteristics of the children in Wu Qiong’s work. He sets children in fictional scenarios and, through the appropriation of images of children, makes references to adult experiences, social issues or even historical consciousness. As the artist claims, if our paintings could be represented with more vivid scenarios and narration, allowing the audience to perceive a certain “surrealist” quality, artwork would be more sensational and discrete. In Wu Qiong’s Eighties series, the children are whipping tops, having snowball fights, rolling iron rings, kicking shuttlecocks and playing hopscotch. Like it's title, these are childhood memories of those born in the 1980s and memories of childhood in old Beijing. The children in these images have their eyes closed and heads lifted towards the airy blue sky and cotton clouds surrounding them, as if playing in a dream. Illusion and gracefulness are the main impression conveyed in this work, a feeling extricated from our childhood—the joy of carefree playing, the happiness of not having any responsibility. Milan Kundera discusses the question of lightness and weight in the Unbearable Lightness of Being, “The weightier our responsibilities are, the closer our lives are to the earth, it is more realistic. On the contrary, when responsibility is absent, people become lighter than the air, they float, and are distanced from the earth and their lives on earth. People would become pseudo-beings, and their movement would also become free and meaningless.” The so-called weight of being refers to the burdens and oppression of life. On the journey of life, as one matures, one seeks out desires, ideals, responsibilities and duties, with which comes various limitations and consequences, such as pain, tribulation, burden and oppression. In fact, we only live once and what is irreversibly lost is, in Kundera’s view, the lightness of being—the true condition of being. And the lightness of being originates in its meaninglessness. Life is light, unbearably light. On life’s journey, we have always been “children,” we have never left our vague childhood, but we are still roaming in a void. Yet, although we are well aware of it, we still can’t abandon certain heavy burdens, which can be as significant as fame and benefits and as insignificant as the necessities of life. For adults, the lightness of being can be acknowledged but cannot be experienced—as we get to know the lightness better, we have already begun to walk away from it. With their eyes still shut and heads lifted, the children look perplexed. They are sloppily wearing official dress, holding glazed fruit sticks, squatting on the floor holding hands with a bride, or hanging out with friends. Looking at these scenes is like a glimpse into everyday Chinese life -the quest for survival, fame, for the next generation, for friends to drink and chat with. The content in one’s life is mostly regulated by society, a result of cultural production. Children are taught mostly through regulation and are constantly indoctrinated with adult world ideals and expectations influenced by current cultural and social conditions. For example, they must study, work in offices, have a son to continue their lineage; as well as follow principles of loyalty, filial piety, propriety and such. Living within the confinements of such a moral system, one’s life is predestined from life to death; it becomes unnecessary to consider individual will. In this society, we are just children lavished with excessive attention. Although, if we reflect on these societal values in various situations, they seem rather absurd and laughable. A glazed fruit stick, the official costume, an old companion, a few friends to drink and chat with, this is what have been safekeeping, protecting and striving for—a laughable yet helpless situation. This series portrays three groups of children with similar expressions and behavior. From their attire, we can categorize them into different eras: the Republican period, the Cultural Revolution period and the 1980s. Here we witness different education models - both familial and societal - for children in various periods. The tradition in ancient China was to educate one's children. In the “Rites of Qu” or Book of Rites, household rules included toddlers being taught basic concepts of how to behave as men and women. Content of education had to be centered on respecting the elders, their community and other behavioural rules, as well as mathematics, geography, how to read calendars and basic knowledge of everyday life. Once the children entered school, which was usually after ten years of age, besides learning the classics, the children were taught Neo-Confucianism ideals and the value of learning. In teaching children, one was meant to follow the Book of Rites and implement rules regulating behavior. The focus of education was on cultivation of character, whereas acquiring knowledge was secondary and a continuous process. After the Qing government established its examination system, there were changes in the Neo-Confucian education of children. As becoming a literati turned into an opportunity to move up the social ladder, Ming and Qing dynasty scholars had to readjust the goals and content of childhood education and developed a new system of pedagogy and methodology. During the Ming and Qing dynasties, many supplementary materials were made for early education. The editors and authors uniformly expressed (in the prefaces of their writings) the need and responsibility of transitioning private education for one’s children into a type of public duty. Children were gradually breaking away from private family teaching, and becoming the subject of concern outside of the family unit (in public and society) or system (school and education systems), which allowed children to be easily influenced by changes in society and become part of it. There is a Chinese expression stating children were educated for “various ancestors,” and later it was also for the purpose of “social benefits” and “prosperity of the nation.” In recent years, childhood education became a public project. The existence of children seems to serve a purpose beyond the children themselves. In other words, within the framework of this era, the meaning of every individual’s life is beyond him or herself. As such, children have lost their individuality and exist as members of a collective that are “marching forth in unison” with those around them. Yet, for adults, aren’t they also confronted with the same issues? 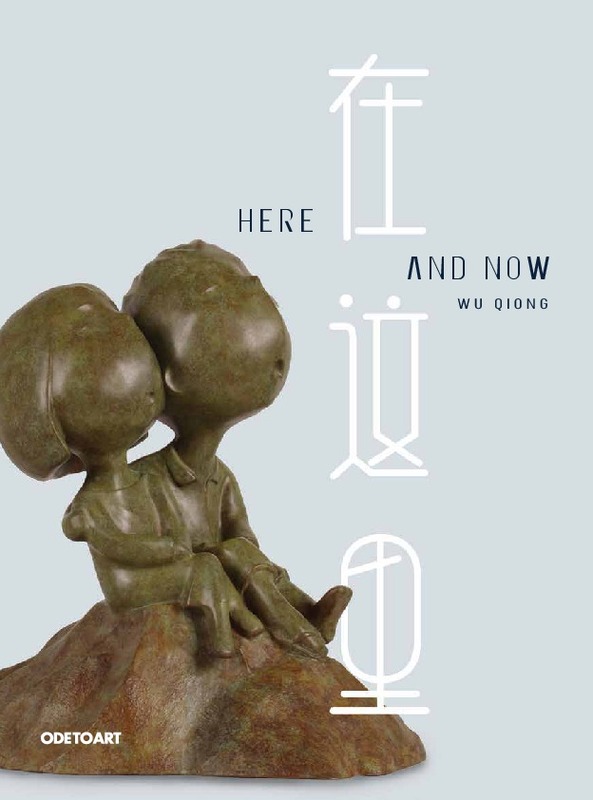 Overall, children have not always been a subject of choice for Wu Qiong and the appropriation of children to scrutinize our conditions of life isn’t necessarily his usual theme. In his 2006 graduation project, we see a depressed young man. "Moment" was a series of sketches of sad expressions, convoluted facial features and inconsistent expressions that belied oppression and sadness. In "Untitled" and "Cry," such oppression is displayed more apparently. "Puzzled C Major" and "Poet’s Talk on Dreams" of the same period demonstrate the helplessness and compromise in post-hysteria. If complaints and anger did not change anything, then why take on a playful angle to banter, satirize and reveal? 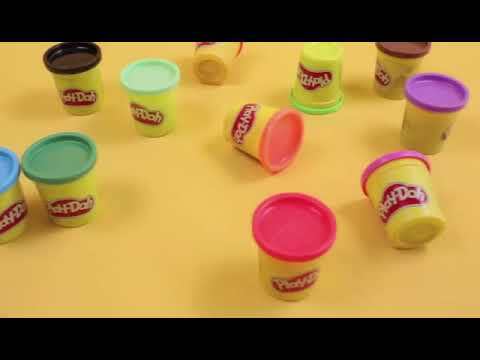 The artist takes the so-called “culture,” “value” and “tradition” that binds him and places this in front of an audience, allowing everyone to reflect while laughing at them. 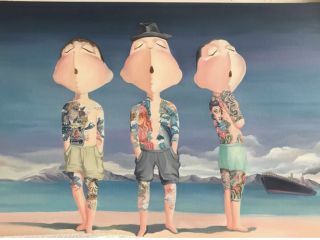 In "Eighty or Eighty," Wu Qiong wrote, “I am using playful images to express happiness, sadness, alarm and self-parody.” The artist expressed these ideals through the images of children. To a certain degree, Wu Qiong’s paintings have rectified a common criticism—the tendency to categorize art groups according to their biological age and neglecting the most important element of ideas in the contemporaneity of art. The common criticism of the ‘80s generation is their shared and habitual characteristics. They are portrayed as a generation that grew up in an urban setting; thus, they refer to cities as the center of their lives and their observations are based on books, films, the media and their own circles of friends. They talk about fashion, architecture, politics and the tabloids, and they seem to maintain a hedonistic lifestyle. They resemble a class in exile, who not only lack the instinct to live in a carefree fashion as the ’90s generation does, but also do not wish to carry any sense of collective responsibility like their predecessors. Their innate sense of oppression and persistent pursuit of freedom is precisely the destiny of this generation. These claims seem to be quite a generalization of this generation, but they are just as speculative. However, it should be noted that outstanding ideas and art are without borders and can transcend generations, or even time. Since Wu Qiong returned from his studies in Singapore, in addition to his clear international perspective, he is, more importantly, constantly defining his position and injecting it into the undercurrents of this era.